Shuttle FLL service is available here at our Quality Inn & Suites Hotel. 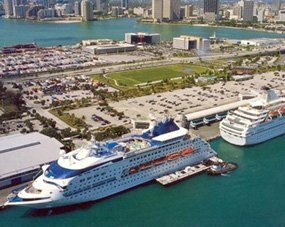 We are conveniently located very close to the Fort Lauderdale/Hollywood International Airport, Port Everglades Cruise Port, and Broward County Convention Center. We are ideal for guests who only plan to spend a short time in South Florida, but still want to be able to experience all the exciting things to do here. What you will find here at our beautifully renovated hotel is excellent guest service, spacious rooms filled with amenities, and more. Venturing outside the hotel you will find plenty of things to do at some of the most desired attractions and destinations. Stay at our hotel, enjoy our spectacular clean pool, or venture out; you will find that we are close to the hot destinations that South Florida is well-known for. Our Shuttle FLL services will promptly get you to our hotel; not one minute of your precious time is wasted! You will be just minutes away from a range of exciting South Florida attractions. You can explore our beautiful beaches, participate in our thrilling nightlife scene, eat at one of the many top-rated restaurants, and visit our interesting marine museums, and art galleries. South Florida truly has something to offer everyone! 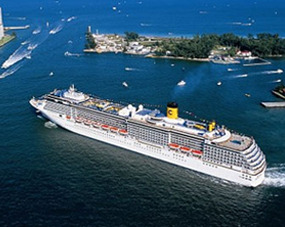 Book with us directly to receive the best deals, and lowest rates. There's no need for a travel agent, we give our guests the best rates directly! 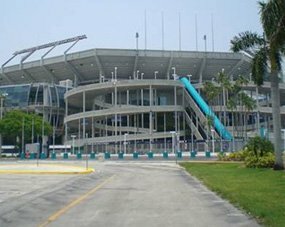 Shuttle service is available to and from Miami cruise port and Miami International Airport (MIA). This fully renovated Hollywood, FL hotel is set on gorgeous tropical landscaped grounds, just minutes from the hottest venues which South Florida has to offer. Get the best available rates always from Quality Inn & Suites Hotel direct. 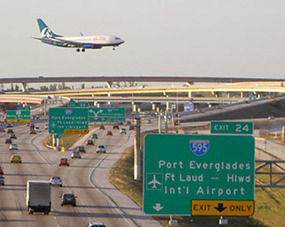 We are conveniently located, between Miami and Fort Lauderdale.